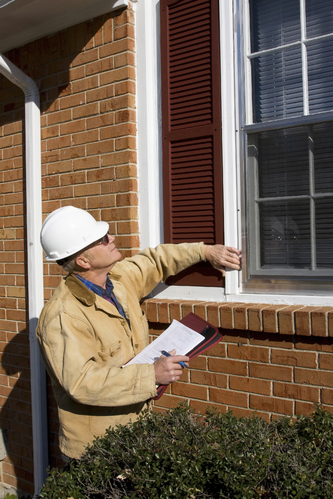 Getting a building inspection report is an important step before purchasing a property. In doing so, you learn of any problems that may require immediate or future repair and how those issues might affect you over time. Prepare yourself before the inspection by reading below for what to expect. The size, age, condition, and type of property can affect the format in which your building inspection report is provided, as well as the details it includes. These factors will also impact the cost of your report. It’s important to remember that a building inspection only covers what is readily visible on the property. This includes interior and exterior items like the roof, walls, flooring, basement or crawlspace, as well as attic space. Home inspectors generally will not look for evidence of hidden problems like leaks, termites, or electrical issues. You’ll need to hire a specialist to address these concerns. A thorough building inspection will cover more than just the house. It should also address detached garages or sheds, fencing, steps, and non-structural retaining walls. A home inspector will carefully evaluate each of these items on the property to ensure they are safe and structurally sound, just as they will with the house. If there are specific items you’d like your home inspector to include in your building inspection, you can ask them to do so. There may be an additional cost, or they may refer you to another professional who’s better qualified to perform such an inspection. For building inspections in Texarkana, TX, and the surrounding areas, call Twin City Home Inspections Inc. at (903) 276-9566. Their home inspectors are licensed by the Texas Real Estate Commission and Arkansas Home Inspector Board and have more than 10 years of experience. They offer same-day home and building inspection reports, so you don’t have to wait. Visit their website for a complete list of their services. Other Announcements, Events and Deals from Twin City Home Inspections Inc.
A. Twin City Home Inspections Inc.